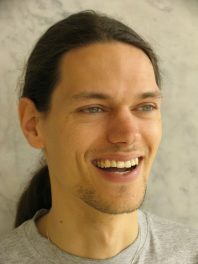 MinT was created and is maintained by Wolfgang Ch. Schmid and Rudolf Schürer from the University of Salzburg. Wolfgang Ch. Schmid, who has been working in the field of (t, m, s)-nets for many years, is the initiator and supervisor of the MinT project. He set out to develop a web-based database system for querying optimal net parameters based on discussions with and ideas of Harald Niederreiter. Wolfgang Schmid also discovered various constructions and bounds for (t, m, s)-nets. Among them are Shift-Nets, the (u, u+v)-construction for nets, as well as the Gilbert–Varšamov bound for nets. Rudolf Schürer designed the MinT application. He also did all the programming work on the back end (the part of MinT that calculates the net parameters and stores them in the database) and wrote the current version of the front end (the web application). He collected constructions, bounds, and propagation rules from the literature and brought them into a format that allowed their inclusion in MinT. He also wrote and maintains the descriptions to the various methods. The MinT project is hosted by the Department of Mathematics at the University of Salzburg. It receives financial support from the Austrian Science Foundation (FWF), Grant S8311-MAT and Grant P18455-N18. The initial idea of a dynamic system for generating tables of net parameters is due to Harald Niederreiter. We are grateful to him for many discussions and valuable comments. We would like to thank Yves Edel, whose numerous suggestions led to the large number of methods from coding theory and finite geometry available in MinT. Thanks go also to Andries Brouwer, whose database of code parameters has been a valuable tool as well as a model for our own database. Some of the results on codes included in MinT are still references to his database. The MinT web application is written in PHP, runs on an Apache web server, and retrieves its data from a MySQL database. The program that calculates the parameters of the various constructions, bounds, and propagation rules is written in C++, using the High-dimensional Integration Library HIntLib as well as the GNU Multi Precision Arithmetic Library GMP. 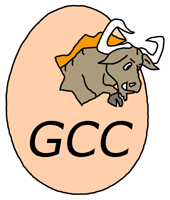 The GNU C++ compiler from the GNU Compiler Collection GCC is used for compiling this program. The server as well as all development systems run on GNU/Linux. Without the availability of these free software packages MinT would not exist. The MinT application serves standard conforming web pages in order to be compatible with a wide range of web browsers. All pages are XHTML 1.1 and use Cascading Style Sheets CSS 2.1 for adding form to content. Supported by the Austrian Science Fund (FWF), Grant P18455-N18.